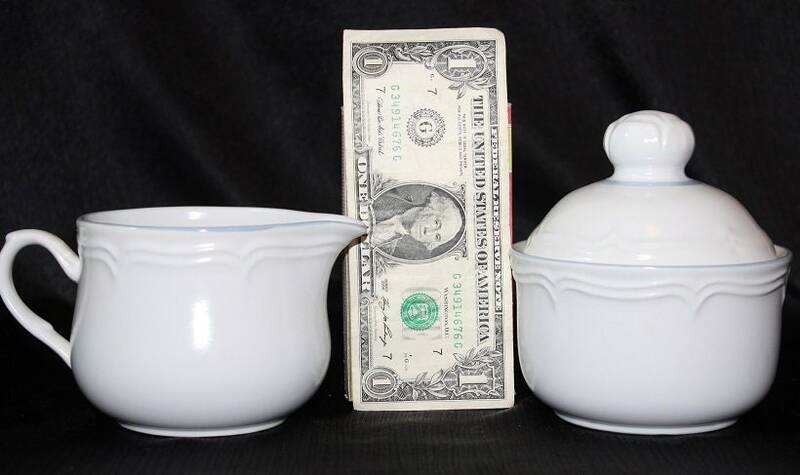 This vintage cream and sugar bowl set on its own or mix & match with your favorite pieces for a unique table top. 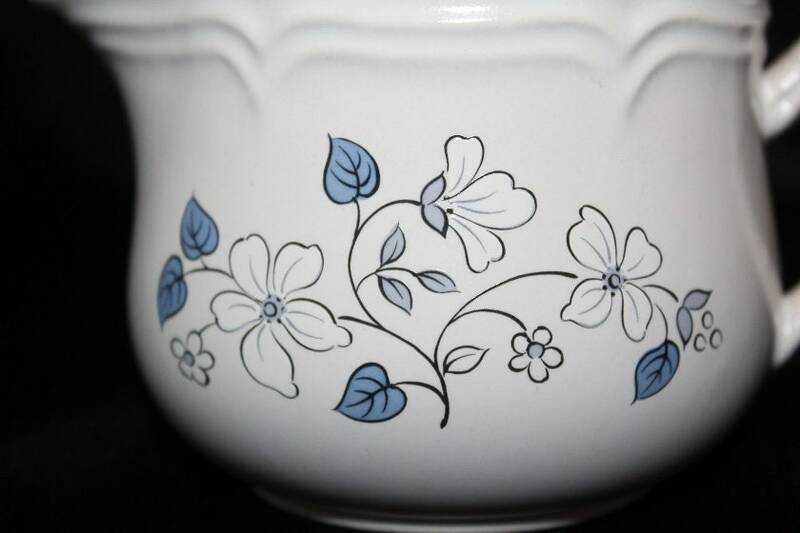 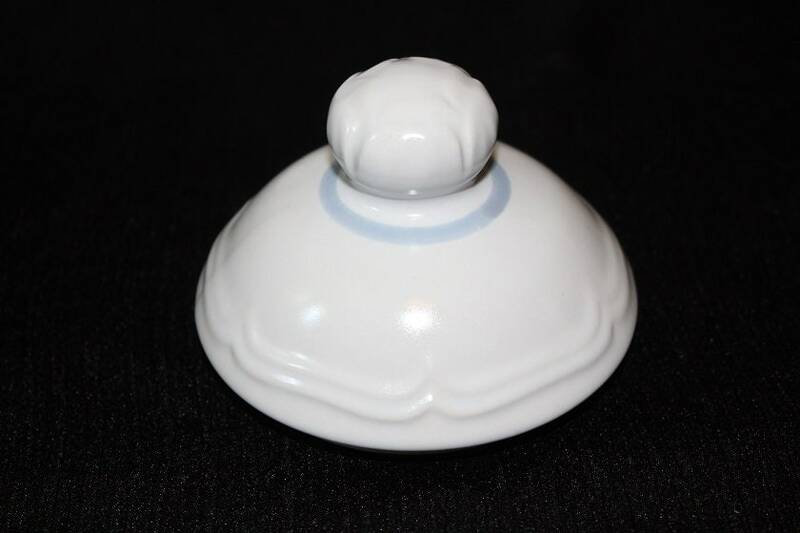 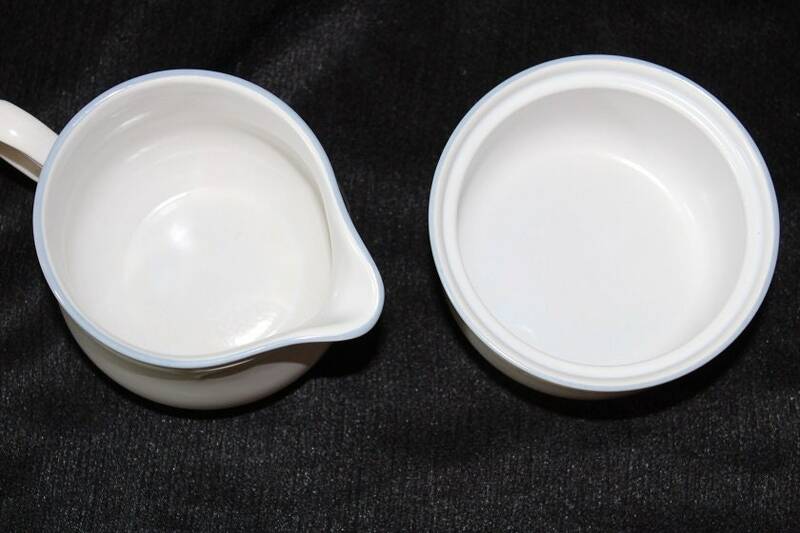 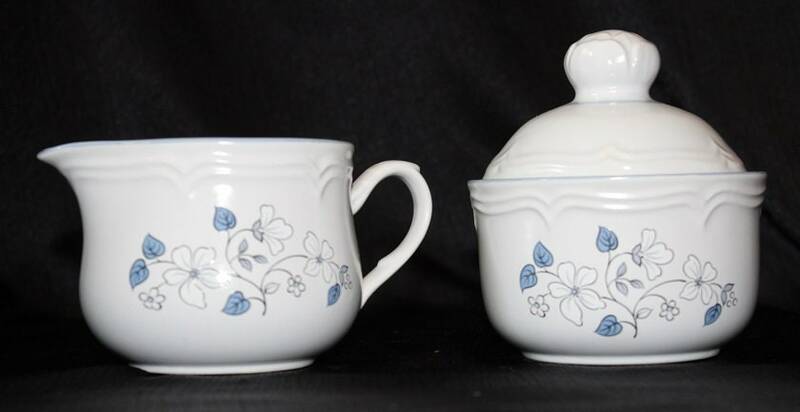 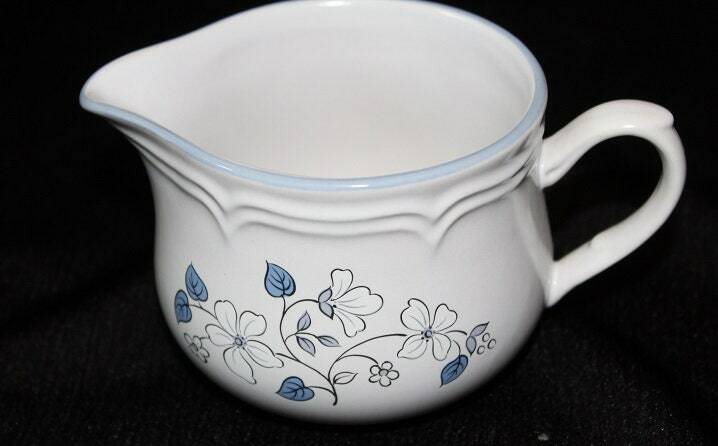 Both pieces are in an ivory / white color with a blue and white flower pattern centered on one side and is accented with a raised scroll design circling under the rim and along the edge of the sugar bowl lid. 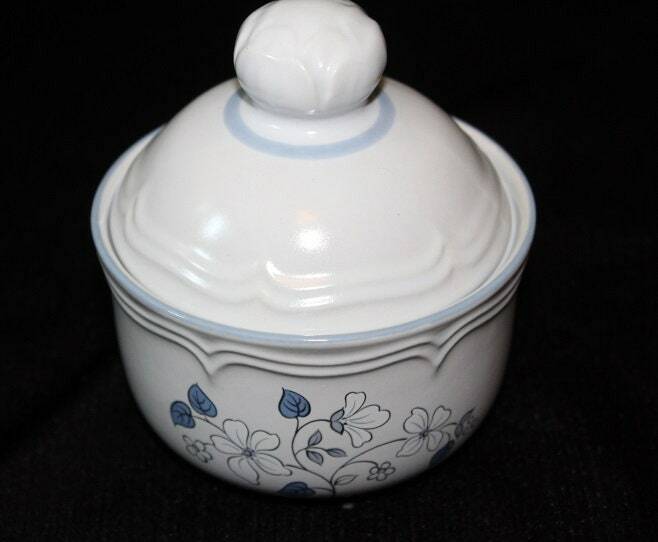 There is blue line trim circling around the rim and under the round handle on the lid. 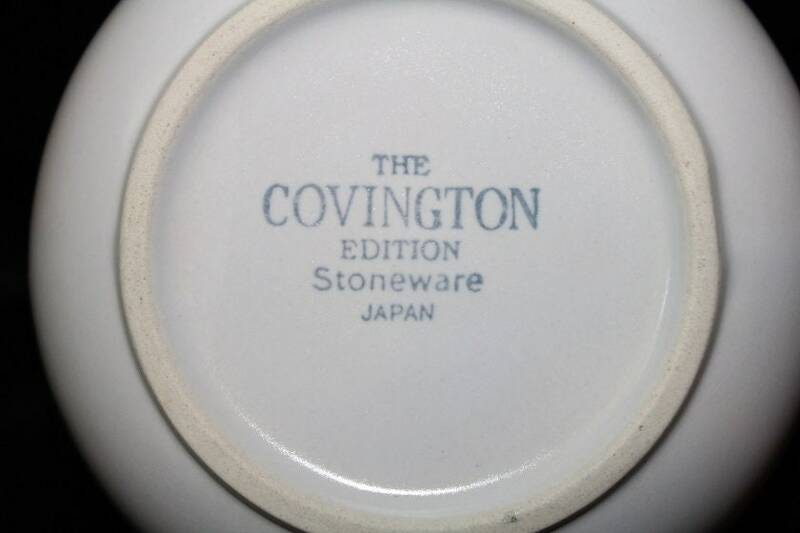 It is marked "The Covington Edition/ Stoneware/ Japan" on the bottom.